Minnesota FoodShare is a program of Greater Minneapolis Community Connections (GMCC) formerly Greater Minneapolis Council of Churches who serves mothers, fathers, kids and elders in the Twin Cities area and throughout greater Minnesota. Our core mission is uniting people of faith, serving people in need. We strive to prevent hunger, provide a positive foundation for youth, encourage cultural diversity and pursue the end of poverty. Minnesota FoodShare engages thousands of Minnesotans annually via the Minnesota FoodShare March Campaign, food insecurity education and awareness efforts, and state and federal advocacy efforts supporting programs that address poverty and food insecurity. Minnesota FoodShare joins members of the anti-hunger community to exchange ideas and collaborate to address the challenges of food insecurity. We also offer educational opportunities and anti-hunger resources via the Minnesota FoodShare March Campaign and collaborations with Urban Immersions. Throughout the year, we are strong advocates at local, state, and national levels. Minnesota FoodShare seeks to educates the community about food insecurity and encourages legislators and community decision makers to lend a compassionate and objective voice to public policy debates that impact Minnesota families living in poverty. The Minnesota FoodShare March Campaign brings together organizations, businesses, faith communities, and individuals to help keep 300 food shelves statewide stocked throughout the year. Minnesota FoodShare has distributed over 17.5 million dollars to March Campaign participating food shelves throughout the state via the Minnesota FoodShare FoodFund. This fund includes donations secured year-round from corporations, individuals, foundations, and businesses. 100% of donations received by Minnesota Foodshare during the March Campaign go into the FoodFund and are distributed to March Campaign participating food shelves. 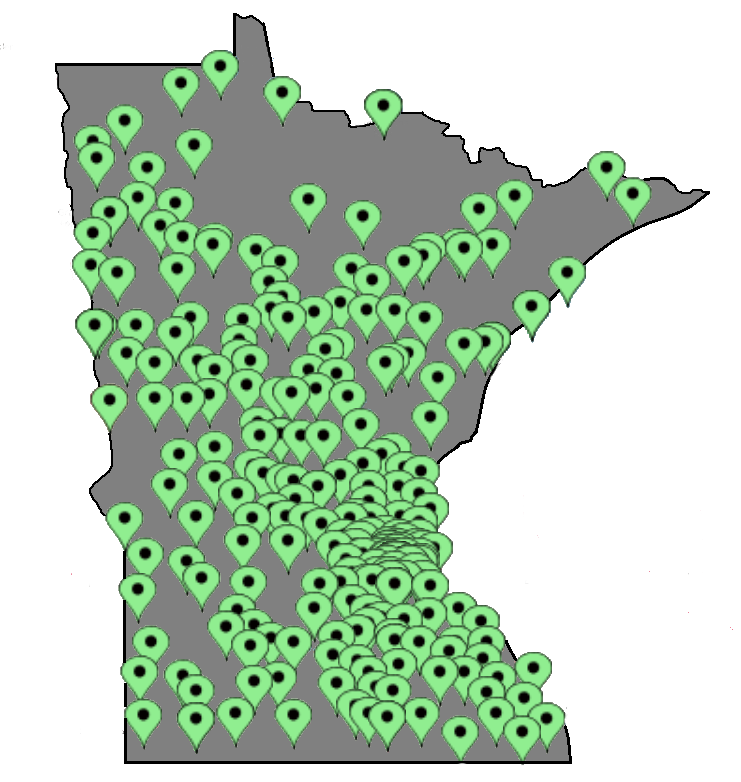 Minnesota FoodShare partners with 300 food shelves serving Minnesota communities throughout the state. To date, over $17.5 million has been distributed to March Campaign participating food shelves via the Minnesota FoodShare FoodFund. Throughout the year, you can support Minnesota FoodShare's efforts through volunteering. Help us work toward eliminating food insecurity in our communities. Minnesota FoodShare relies on donations from supporters like you for year-round fundraising, advocacy and education that address hunger issues in our state. Join us by donating today! Annually since 1982, Minnesota FoodShare coordinates the Minnesota FoodShare March Campaign, the largest food and fund drive in the state. Help stock Minnesota food shelves.